How is a tire like Potato Salad? If you have attended one of my seminars you already know the answer but for those who haven’t, I thought it was time I explained this idea to others. I tell the story of a friend Bob, whose wife Mary makes the best tasting potato salad I have ever had. Others agree and her salad has even won awards. One day last summer in the middle of a major heat wave with temperatures well above 95°F, Bob and Mary had a picnic. Of course Mary made a big batch of her potato salad. As the afternoon wore on it got even hotter. “How hot was it?” you ask. Well it was so hot we were thinking of testing the idea that you could fry an egg on the sidewalk. Really, it was so hot that we ended up moving inside into the AC cooled home. As everyone moved indoors Mary reminded Bob to be sure to put the remaining potato salad into the fridge. Well wouldn’t you know it but Bob got side-tracked with keeping the beer on ice so he forgot the salad. That was until the next morning when he was cleaning up the deck and discovered the bowl of potato salad, so not wanting to get on Mary’s bad side he just put the bowl in the fridge and figured it would get cold again after being out in the sun all afternoon and outside with the temperature still over 85°F that night. 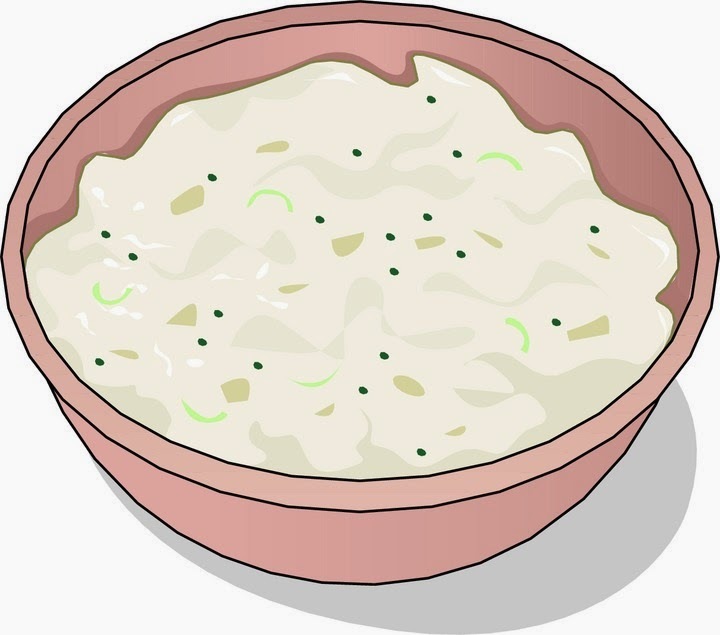 In my seminar, after relating this story, I ask who would like to sample some of Mary’s potato salad that sat outside in the heat for many hours. Strange thing is, I have yet to find anyone that thinks it would be a good idea to eat the remains of the salad, even though Bob had placed it back in the fridge the next day. For some reason no one thinks that the salad would be OK to eat even though Bob had “fixed” it by putting it back into the fridge. I then point out that a tire is like Mary’s salad. If you run a tire overloaded or underinflated or faster than it’s design limit you do not “fix” the damage you have done to the tire by re-inflating it or taking some of the load off or slowing down. You have done permanent and irreparable damage to the structure and like potato salad which was “damaged” by being left out in the heat, the tire will not fix itself after being damaged. Now some of you will ask how much overload can a tire tolerate or how much under inflation or how many miles it can run at too high a speed. Well the reality is that just as there is no exact number of minutes or hours the salad can sit out in the sun before it goes bad enough to make you sick. The thing to remember is that just because the tire looks OK it does not mean that there has not been some microscopic damage done. A tire, like Mary’s award winning salad, has a finite life no matter how well it was designed or manufactured. Leaving the salad out in the heat consumes the normal life of the salad just as running under inflated consumes the normal life built into a tire. If you remember nothing else from any post on this blog or from what I teach in my seminar I ask that you simply remember "Potato Salad". If you always keep your tires properly maintained and within their designed usage limits for load, inflation and speed you should be able to get the maximum life from your tires with no problems. If however you occasionally run your tire 5% or 30% low on air or a few hundred or thousand pounds overloaded or a few or a dozen mph over their speed limit, you will be “consuming” a portion of the tires normal lifespan every mile you run so you should not be surprised if you do not get the suggested normal life out of your tires. Do you need to balance your motor home tires? There is some controversy on this topic. Some insist it is not necessary while others say you should always have your tires balanced. Here are my thoughts. If you are not experiencing any vibration of your seat, through the floor boards or in the steering wheel due to the imbalance of your front end components, I see no reason to spend the money to have your tires balanced. Now if you have some vibration, one of the first things you need to do is to try and identify the cause. Is it due to tire wheel assembly imbalance and not some other front end component or source? To learn the answer you need to do a little investigation and give a little thought to what you discover. Vibration can be due to a number of different sources and depending on when and where you feel the vibration and if you can make the level or frequency change you will know what the possible source is. Do you have a large generator up front as normally found in “pusher” Class-A? Does the vibration change or go away when you run or turn off the generator? If so then one of the areas I would first look into is the generator mountings. This can include the rubber bushings that attach the generator to the frame around it. Are the bushings old? Remember the general advice to change your tires when they get to be 10 years old? Well motor mounts are also rubber and that rubber can age or get oil soaked and sometimes even tear. Spend a few minutes with good lighting and check each mount to be sure the bolts are tight and the rubber appears to be in good condition and not overly soft or hard. If your generator can slide out for service, be sure the mounts of the slide frame are firm when the generator is locked in place for travel. Next ask yourself; does the co-pilot feel the vibration or just the driver? Is the vibration felt mostly through the steering wheel? Does the wheel just “Buzz” or does it oscillate back and forth? Steering wheel motion can many times be traced to worn steering components so you need to do a thorough inspection of the steering shaft mounts, steering box and all the links that go to the front suspension. Moving on, when there is vibration felt through the floor and possibly the seat when both the driver & co-pilot can feel it, does the vibration feel most pronounced at low speeds or above say 40 mph? 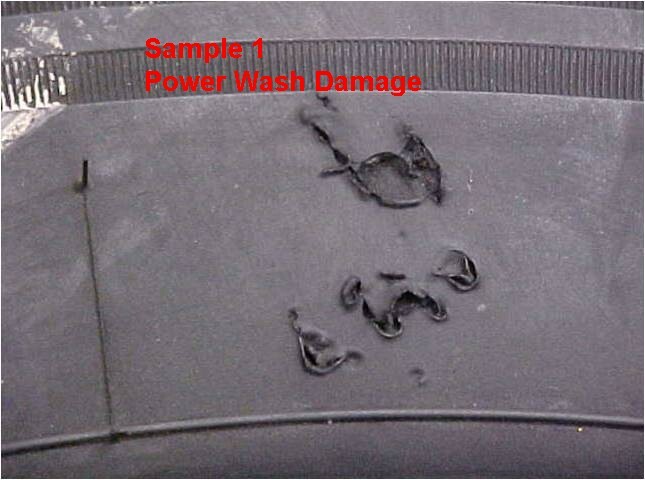 Low speed vibration can many times be caused by tire “Flat Spots”. A Flat Spot is a localized condition where a tire has taken a set from long term parking and can be more pronounced when the tire was parked when it is hot. Driving on a tire that has a large flat spot sometimes is noticeable at less than 10 mph. Also sometimes a flat spot can go away after 30 minutes to an hour of highway speed driving after the tire warms up. You can minimize flat spotting by ensuring you are carrying more than the minimum inflation needed to carry the load. If you are going to park for a few weeks or more I would recommend you inflate your tires to the max pressure shown on the tire sidewall. If you have the ability to remove some of the load on the front tires that will also decrease the tendency to flat spot. Balancing a flat spotted tire will not solve the ride problem. Remember it is possible to balance a cinder block but I doubt you would ever get a smooth ride driving on one. Old worn shocks can allow normal short term flatspot vibration to get to the passengers so you might need new or better shocks. 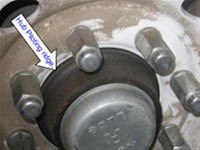 Another possible source of floor vibration with front engine motor homes when not felt through the steering wheel could be problems with the drive-shaft, U-Joints or support bearing. These can be checked by any truck service company and with smaller Class-C units possibly a large Ford or Chevy dealer depending on the manufacturer of the original cutaway van chassis. High speed vibration that changes as you increase speed does point to a rotating component. This is not always just the tire as the imbalance could also be the wheel or the brake drum/rotor or hub or even a wheel not properly centered on the hub. The rim hub fit should look as seen in this picture. Also your tire might not be properly centered on the wheel. One thing you can check yourself is tire centering on the wheel. Most tires have what is sometimes called a Rim Centering Rib. This is a feature molded on the sidewall which should be visible just above the rim and uniformly spaced around the tire. If you see variation in the RCR to rim spacing you need to have the tire inspected and possibly de-seated and re-inflated to ensure the tire is concentric with the wheel. The tire shop that mounted the tire is responsible for ensuring the tire is properly seated. You should not attempt to fix this yourself as it requires the use of a tire safety cage. Another thing to check is the run-out of the tire. This should be less than 0.035”. If there is more than this then you need to fix the centering or mounting issue that is probably causing the run-out. If all the components are properly centered then you might need to have the tire trued if the vibration is a real problem. Remember that cinder block. If all else checks out then I suggest you have an on vehicle balance done as this will identify any imbalance in the rim, hub, brakes or tire. Off vehicle balance does not confirm the brake drum/rotor and wheel mounting or hub is in balance. If you need to have the rotating assembly balanced external weights are usually used and may be needed on both the inside and outside of the rim to achieve full dynamic balance. If you choose to have the tire balanced by adding one of the products to the inside of the tire be sure to get a full warranty, in writing, that the balance material used will not damage the wheel, tire, valve or TPMS. 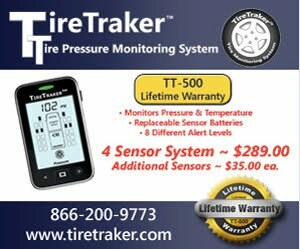 If you use one of these products and have a TPMS valve you will also need to purchase a special valve core to prevent the material from plugging the small sensor hole. I hope this clears up any confusion on how to achieve a smooth ride. Some links with more information. NOTE I am not recommending any of these companies or products. Just showing you that a quick GOOGLE on truck tire truing will find the options available to you. 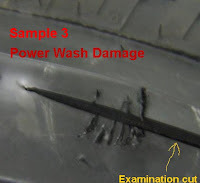 Recently there was a Tech Article in an RV publication about cleaning the tires on an RV. The reply reminded me of some investigations I did a number of years ago on some strange looking sidewall damage. 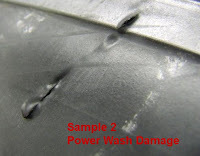 After doing a confirming test, where I was able to duplicate the damage, I concluded that the damage was done by a High Pressure Power Washer. Here are some examples of the damage. You can click on the image to see an enlarged view. In sample three you can see the cut that was made to confirm the depth of the damage. I have never seen a advisory posted on one of these High Pressure Power Washers warning of the damage that can be done if you get too close. There are many different pressure ratings so I cannot give an exact limit on how close you can get without doing damage but I would certainly stay more than a foot away if I felt I needed to use one. This damage has been documented in Tire Industry publications so if you do cause this type of damage, there is a good chance you may not be compensated under the tire warranty, so be careful. The best way to clean your tires is to use the same soap you use to clean your car or RV and a sponge or cloth just as you would on the paint on your vehicle. I would not use a stiff brush or anything like steel wool on the tire as you will scrub off the protestant waxes built into the tire which will accelerate the tire sidewall aging and could promote sidewall cracks. I would limit the pressure I use to what I get out of a garden hose.